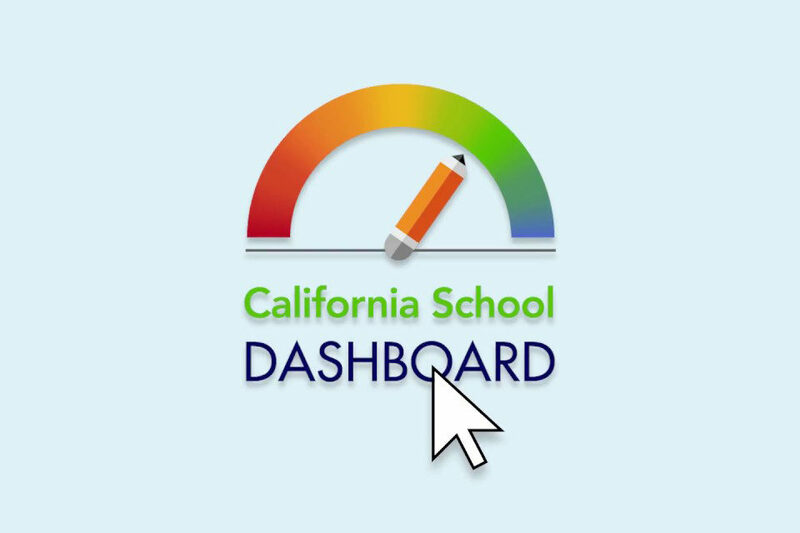 The fall 2018 version of the California School Dashboard is now live and brings with it several additions and changes for board members to be aware of, namely the presence of a new indicator measuring grades K-8 chronic absenteeism for schools, districts and county offices of education. Due to the changes, 374 districts qualify this year for differentiated assistance through the System of Support, compared to 228 districts in 2017. Ninety-three districts that qualified for differentiated assistance last year are no longer eligible for it, the California Department of Education announced Dec. 5. Statewide data on high school graduation, suspension and chronic absenteeism rates broken down by student group was released by the California Department of Education in November and is incorporated in the new Dashboard. Early reporting and analysis of data by EdSource indicates at least 40 percent of districts and charter schools have a high or very high rate absenteeism rate (a “high” rate means between 10 and 20 percent of a district’s K-8 students miss 18 or more days, while “very high” means 20 percent or more of students fall into the category). The measure will be evaluated using a red-through-blue color on the indicator, similarly to other categories. An additional new color-coded indicator in the Dashboard gauges college/career readiness for schools, districts and county offices of education that serve grade 9-12 students. A third and final major element of the new release is that the performance of students who attend alternative schools (such as continuation schools and community day schools) will be factored into indicators. Many of the schools are operated by county offices of education, and therefore the agencies will be evaluated by color-coded indicators for the first time. Discussion and debate about the new indicators at the State Board of Education’s September meeting — including over the lack of high school data for chronic absenteeism — is highlighted in a California School News article here. The initial version of the platform generated criticism due to confusing and at times overwhelming amounts of information. In response, Gov. Jerry Brown, allocated $300,000 and the California Department of Education hired a consulting firm to retool the platform. Much of the focus in designing the new Dashboard centered around making the system more intuitive and navigable for parents and other community members. One noticeable visual change is the move away from pie charts, as the new version introduces a “gauge-style” icon where an arrow points to the corresponding color. The system has 80 percent fewer pages than its predecessor, is designed to display better on a mobile device and will be translatable into Spanish come January 2019. A full look at some of these changes is available here (PDF). While the California School Boards Association credited the State Board of Education at its November meeting for its work to improve the look and effectiveness of the Dashboard as a communication tool, CSBA highlighted the fact that small districts continue to face challenges because of their small sample sizes and the resulting omissions of data. To help offset some of those issues, schools, districts and county offices of education with less than 150 students will have a three-by-five grid applied to graduation rates, suspension rates and chronic absenteeism in this year’s Dashboard, rather than the previous five-by-five grid. A resource for small districts to view is CSBA’s recently published governance brief, “The California School Dashboard and Small Districts.” The brief includes information on how the size of student groups affects the way state indicators are reported in the Dashboard, as well as examining other unique issues for smaller districts.